While you probably don’t spend a whole lot of time thinking about them, the smoke detectors in your home or business are some of the most important things you own. In the event of a fire, they will spring into action and let you know you need to get out. They could end up saving your life and the lives of those in your family. For this reason, you should take the time to test your smoke detectors regularly. Here are a few tips that will help you do it effectively. Do a basic test as often as you can. 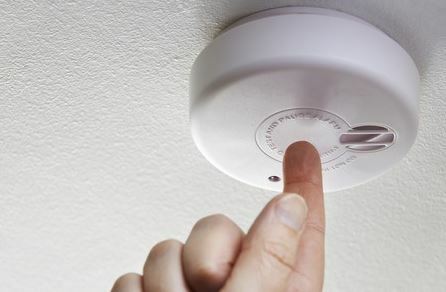 Conducting a basic smoke detector test is ridiculously easy. All you need to do is press a button on the smoke detector and it will emit a loud siren to let you know it’s working. You should, of course, let those in your home or business know you’re testing your smoke detector before you do it so they don’t get confused. However, you can do this test within a matter of just a few seconds and ensure your smoke detector is working. Work a crisis test into the mix every so often. A crisis test is a bit more complicated, and you should never conduct it alone. During a crisis test, you will need to hold something that creates smoke, like a candle, about 12 to 18 inches below your smoke detector. If your detector is working properly, it should pick up on the smoke and go off on its own. Just be careful not to hold the smoke source too close to your smoke detector. You should also have someone standing nearby with a fire extinguisher in case something goes terribly wrong. Even if your smoke detector is working just fine, you should replace the batteries in it at least once or twice a year. Most people use Daylight Saving Time as a reminder to test their detector and change their batteries accordingly. You should also replace older smoke detectors. They’re only designed to last for about 10 years, so if yours has been around for longer than that, replace it right away. If you need help improving the fire alarm and smoke detection systems for your home or business in the Westchester, NY area, contact NYCONN Security Systems today.